In a Nutshell: In today’s connected world, there are a lot of options for a so-called side hustle, and who couldn’t use some extra cash from time to time? With Wag!, those looking for an extra income stream can walk dogs for cash, while setting their own schedule and level of commitment. To become a dog walker, users must pass a screening process that includes evaluating past dog care experience and knowledge, and a background check. The streamlined Wag! process allows users to easily request and schedule walks, track their pup’s journey, and see a report card after each walk. Additionally, Wag! donates a percentage of revenue from every walk to feed a dog in a shelter. Most of us can relate to needing a little extra cash from time to time, and the internet is rife with side hustle ideas. But, common options such as taking online surveys or monetizing a personal blog are often unrealistic or pay very little. And taking on another job is not a realistic option in a lot of scenarios. Meltzer said everything the company does comes from a motivation to bring dogs joy and keep them safe. He said in creating Wag!, he and Co-Founders Josh and Jon Viner, wanted to make pet parenthood just a little bit easier so dogs and their humans could share a more fulfilling and joyful life. Meltzer walked us through the benefits of becoming a Wag! dog walker, an overview of the service, and how Wag! benefits dogs across the country. Wag! looks for dog lovers who are responsible, professional, and trustworthy to become walkers, Meltzer said. He said in order to become a Wag! walker, applicants must pass a three-step screening process. Wag! walkers earn an average of $12 per walk. Next, potential walkers will sign an independent contractor agreement, attend an online or in-person orientation, and submit to a background check. 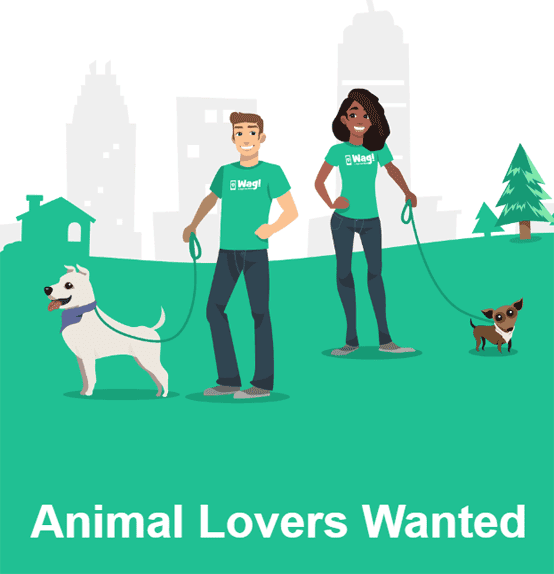 “We want to make sure that all of our dog walkers on the platform are people we can trust to take care of these pets,” he said. From there, walkers can start earning. Becoming a Wag! walker comes with a number of benefits, besides the built-in bonus of spending more time with pups. Meltzer said several factors determine how much walkers can potentially earn, including how many dogs they walk, for how long, and how frequently. He said most walkers also receive tips after walks. According to the website, Wag! walkers on average make $12 plus tip for a 30-minute walk. “We try to make it really easy for pet parents to download the Wag! app, create an account, share some information about their pet, and upload their payment information,” Meltzer said. The service offers a number of options for scheduling walks, including on-demand walks — in which dogs will be walked within 30 minutes to an hour of the request. Users can also schedule walks for later the same day or the next day. Dog owners can request walking, sitting, and boarding services through the Wag! app. He said Wag! also offers recurring weekly walks for those with a set schedule and regular needs. Every walk is backed by Wag!’s 24/7 customer support. 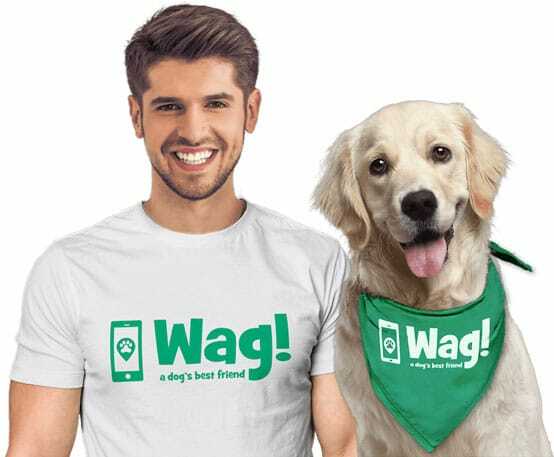 He said walking remains the core component of Wag!’s model, but as the company evolved, it realized pet owners’ needs for boarding and sitting services as well. Wag! customers can request preferred walkers for their one-off walking needs and can schedule a particular walker for regularly scheduled recurring walks. Meltzer said he likes to highlight the fact that Wag! makes a donation to feed shelter dogs for walks completed on the Wag! platform. “Our donations through this program have fed more than 5 million shelter dogs,” he said. Wag! has donated the equivalent of more than 5 million meals to dogs in shelters. 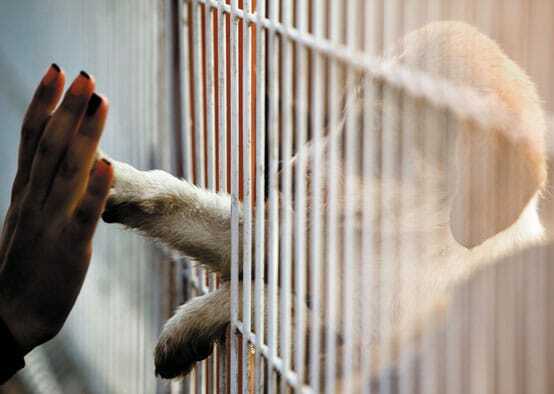 Nearly 4 million dogs are taken into shelters or other rescues across the country each year, according to a Wag! press release. Meltzer said even for those using Wag! to earn some extra money or to help make ends meet, it can still feel great to know they are helping dogs in need because Wag! walkers are dog lovers. Wag!’s shelter program is in partnership with GreaterGood.org and Rescue Bank. “Sponsoring meals through the GreaterGood.org’s Rescue Bank program helps participating animal-rescue groups save thousands of dollars a year in food costs, allowing them to shift scarce funds to other needs, such as spay/neuter and vet services, facility improvements, and adoption events,” according to the press release. Wag! also gives back in a number of other ways. This past holiday season, Olivia Munn partnered with the company to deliver much-needed supplies to an L.A. shelter as part of the Wag! For Good program. The initiative also included Wag! donations to 24 other partner shelters throughout the country. Meltzer said Wag! is continually working to innovate and give Wag! walkers and pet parents the products and services they need to make the Wag! experience as good as possible. That’s good news for those looking to Wag! for some extra cash and for those who need a little help with walks from time to time. He said the pilot program should expand into broader availability in the near future.